This week, the U.S. Trade Representative notified Congress of the Trump administration’s intent to enter into trade negotiations with three markets: the European Union, the United Kingdom, and Japan. President Donald J. Trump is working to open new markets for U.S. farmers and companies where they currently face significant barriers. As U.S. House Ways and Means Committee Chairman Kevin Brady (R-Texas) noted, new high-standard trade agreements with each of these countries would expand the United States’ ability to sell “made in America” products around the globe and deepen partnerships with vital allies. Pursuant to the Trade Promotion Authority (TPA) process, the U.S. Trade Representative must give notice to Congress of the intent to enter into trade negotiations. The trade representative’s October 16 letter to Congress opened a 90-day consultation period in which members of Congress and stakeholders may outline negotiating objectives. TPA also requires the publication of detailed negotiating objectives at least 30 days before the start of talks. The EU, UK, and Japan are all vital trading partners of the United States and California. Total bilateral trade with the European Union exceeded $1 trillion in 2017, with goods trade accounting for $718 billion. California exports to the EU were $31.27 billion in 2017 with computer and electronic products, chemicals, transportation equipment, and miscellaneous manufactured commodities leading the export sectors. European Union countries purchase roughly 18% of all California exports. 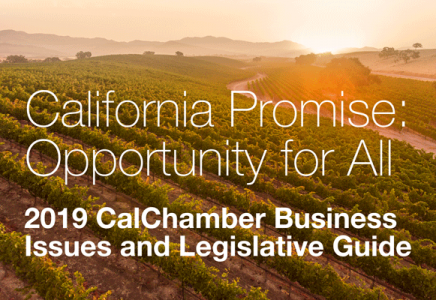 For California companies, the single market presents a stable market with huge opportunity. The United States and European Union together make up about 45% of the world’s gross domestic product (GDP) and more than 30% of world trade. The United Kingdom is California’s 10th largest export destination, with more than $5 billion in exports. Computer and electronic products accounted for approximately 25.7% of exports—more than $1.29 billion. Transportation equipment brought in $704 million, or 14%; while both second-hand merchandise and chemicals accounted for 10.8% and 9.2%, respectively. The U.S.-UK investment relationship is the largest in the world, valued at more than $1 trillion in 2016 and creating over 2 million jobs, about 1 million in each country. British investment is key in the United States. More than a million Americans go to work every day for British companies. Imports from Japan to the United States were $136.5 billion, with transportation equipment accounting for 44%. According to the most recent figures, U.S. direct investment to Japan totaled $129 billion in 2017, largely in financial, software and internet services. Foreign direct investment (FDI) from Japan into the United States was $469 billion in 2017, making it the third largest source of FDI in the United States. California continues to be one of the top exporting states to Japan, accounting for 18.9% of total U.S. exports. Since 2010, Japan has remained California’s fourth largest export market, after Mexico, Canada and China. California exports to Japan, the world’s third largest economy, totaled $12.85 billion in 2017. Computers and electronic products accounted for 20.3% of total exports. Imports into California from Japan were $40.5 billion, with transportation equipment accounting for more than half of total imports.